We started early since the route was quite long as you can see on the map below. The starting point was in Yau Tong, East Kowloon in Hong Kong. We rode up north pass Clear Water Bay to Sai Kung. Clear Water Bay is a beautiful area in Hong Kong (I blogged about Clear Water Bay here). If you’re not into motorcycling, visit the area for hiking or cycling. We passed by Sai Kung, a fishing village in the North East of Hong Kong. 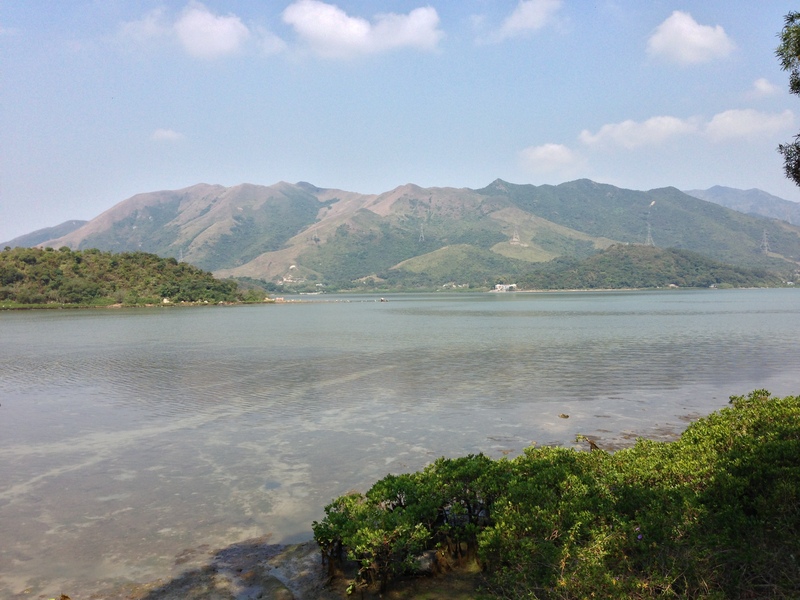 Nowadays, Sai Kung is famous for sea food and a major tourist spot, especially on weekends. If you’re in Hong Kong for a few days, visiting Sai Kung should be high on your list of things to do. We rode on through Ma On Shan, back on the motorway towards Tai Po. Not surprisingly, I got lost in Tai Po (it has always been confusing the hell out of me), but eventually we found the way out of Tai Po to Bride’s Pool Road. Bride’s Pool Road is one of the two locations where you always find motorbikes and bicycles. Especially on the weekend, and especially on Sundays. So this day was no exception. It was PACKED! I used my new camera to film the ride but I deleted the clip afterwards. The ride was nothing to write home about. We had half a million of bicycles ahead and some stupid Sunday driver in his BMW X6. Why do you buy such a fast car when you drive only 50 for God’s sake? Once you arrive at the end of Bride’s Pool, turn right into Kai Kuk Shue Ha, a small village on the border to China. Beautiful scenery and absolutely packed on the weekends. We counted around 40 motorbikes, and most were really big bikes. From the 600CC Ninja to the BMW 1200GS – they were all there to meet up and… well, just hang around chatting…. Not being in the mood for chatting (and not being able to speak Cantonese either), we left the scene after half an hour and rode on to Tai Mo Shan – the best road for motorcycling in Hong Kong. Tai Mo Shan is the highest Mountain in the New Territories in Hong Kong. And the road up to the mountain (more like a hill if you’re used to proper mountains though) is just brilliant. If you ride at Tai Mo Shan, make sure you start your ride from the north up the hill and down south. This route is much better compared to starting from Kowloon and riding north. We were there on a Sunday and it was packed with motorbikes and bicyclers. Personally, I recommend going during the week as you have the entire road for yourself. If you ride on the weekend, watch out. It’s not only motorbikes and bicycles but also cars that use the track as their unofficial race track. Hong Kong’s Police is aware of that as well. When we rode up the road, they were just about to set up a speed camera, so better watch out. But I shall keep quiet now and just let you watch the video below. This entry was posted in Hong Kong, Travel and tagged Bride's Pool, Go Pro on Motorbike, Hong Kong, KTM Duke 200, Motorbiking, motorbiking Hong Kong, Motorbiking Tai Mo Shan, motorcycling, motorcycling Hong Kong, riding in Hong Kong, Tai Mo Shan. Bookmark the permalink.